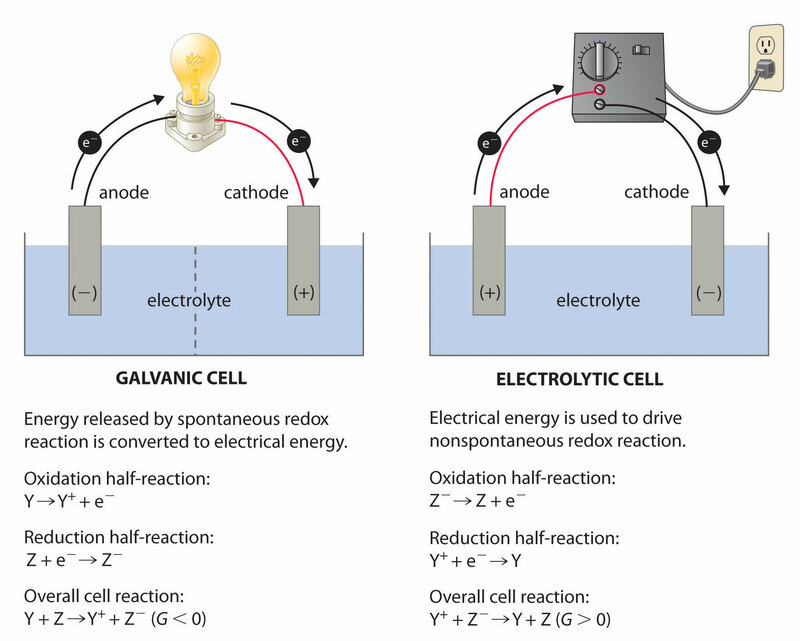 Whys is the standard electrode potential (-) for electrolytic cells but positive for (+) galvanic cells. ^ above taken form wiki. For electrolytic cells isn't the electron flow from the battery (-) anode to cathode (-) of the cell. Do we then show this by electron flow as cathode (-) ------> anode (+) [in the actual cell itself]?? Potential refers to the amount of energy produced or consumed by the reaction. If the sign for potential is (+) than the reaction is spontaneous (moves on its own). If the sign is (-) then the reaction requires energy to proceed. In the case of electrolytic cells, the cell is used to decompose a compound. this can require energy depending on the reaction. Think of water and how much energy it takes to produce hydrogen gas and oxygen, that's an example of electrolytic cell doing work. The definition of an anode is an electrode in which a positive charge flows into an electrical device, this is the direction of the electrons. For both types of cells direction of electron flow would remain the same, but with electrolytic cells, there would be an additional object, the electrolyte, in the diagram. Here is a decent picture i found that also does some explanation. Not the answer you're looking for? Browse other questions tagged electrochemistry redox electrolysis oxidation-state or ask your own question.